The 2006 Israeli-Lebanon war left 265residential, commercial and office buildings severely destroyed or razed to the ground in Haret Hreik, a suburb of Beirut. The municipality reported 3119 housing units and 1610 commercial units (stores and offices) were completely demolished. In total at least 20,000 residents of Haret Hreik lost their homes. TO read about the reconstruction process, you can look at the previous entry, Waad Delivers a Reconstructed HARET HREIK, http://goo.gl/STpPG. The rubble of those buildings lay there for a few days in heaps. Some residents sifted through them in the hope of finding some of their valuables, before the trucks rolled in and started the clean up. 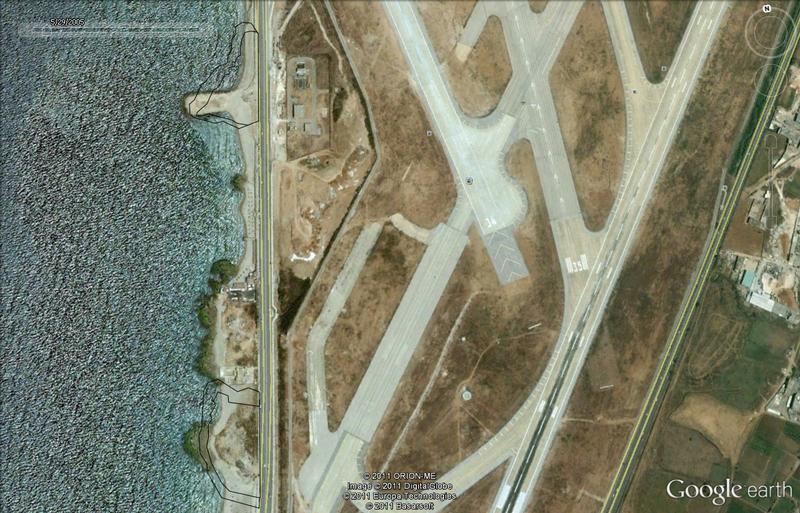 The rubble was estimated to be about 80,000 meter square of debris. These included both the debris of the buildings and whatever belongings the residents did not save before the clean up. 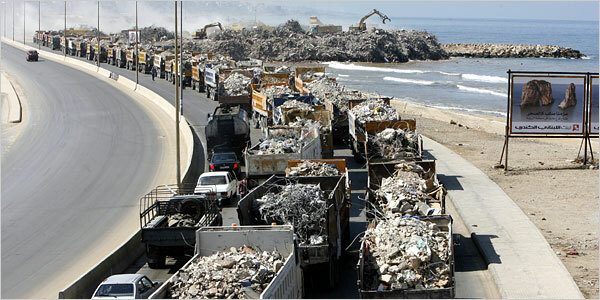 Trucks loaded with rubble queued ready to clean up Haret Hreik for its reconstruction. The trucks filled up and transported the rubble to the coastline of the Ouzai, another southern suburb of Beirut, and placed them into three original mounds later transformed into two. Hana Alamuddine, a member of the Reconstruction Unit, was unclear why the location was selected and said it was a decision made by the Ghobeiri municipality. 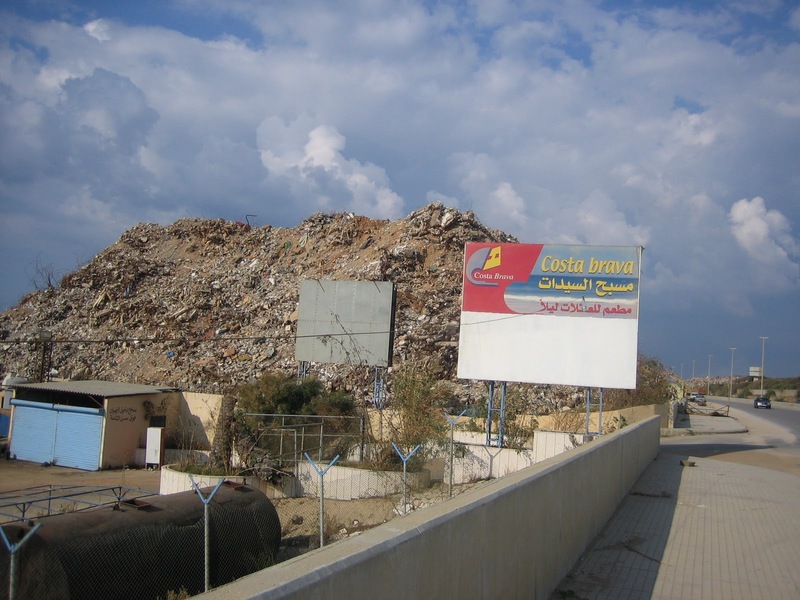 The municipality was not accessible to clarify why they chose this location in particular to dump the rubble. 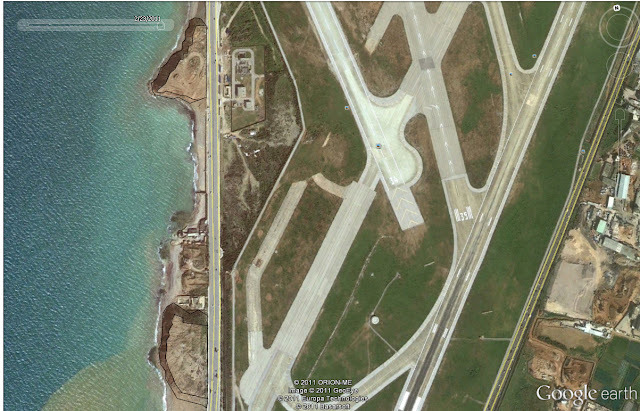 The location, Ouzai’s seashore, boasts beautiful views of the Mediterranean sea. The dumps are surrounded by highways and Beirut International airport. Today only two mounds of rubble remain from the 2006 attacks on Lebanon. A fisherman in the vicinity said the mounds will be dismantled one day and that the steel used in the buildings has been removed. Images from 2006 taken by Julie Weltzien, a landscape architect, confirms this. The main questions that come to mind however is why and what usually happens to such rubble? 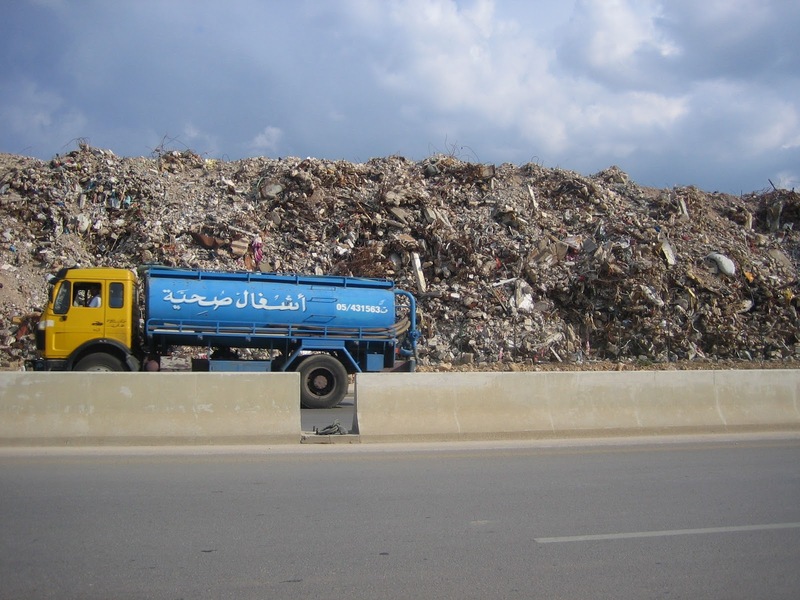 Alamuddine said that a proposal to recycle and reuse the rubble was researched and introduced as a proposal to Speaker of the parliament, Nabih Berri, after which nothing happened. Several of these proposals started out by an attempt by architects working on the reconstruction project to reuse the rubble as fill for road construction. Apparently the need to discuss such an issue with Berri is due to ownership problems. 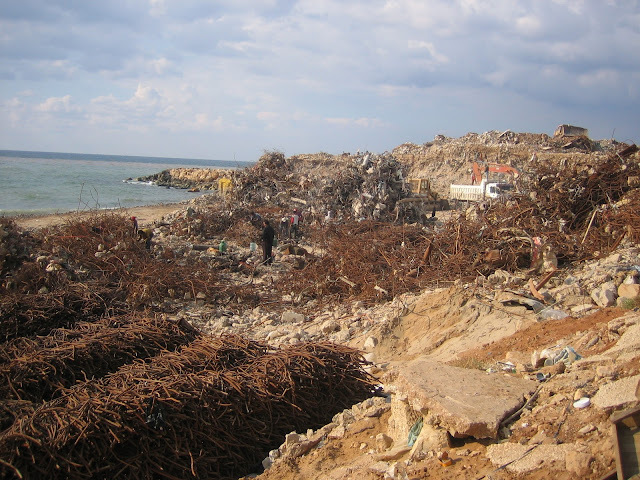 Recycling the rubble would generate a large income yet the distribution of that income was not agreed upon and is the main problem hindering putting this proposal into action. Alamaddine explains the problematic of ownership by explaining the various scenarios. She said that the normal practice in Lebanon is that the truck driver is given the rubble in exchange for demolishing, transporting and selling the rubble. It is however legally undefined. Apartment owners own the apartment but not the air or the land or the material on the land. When the apartment becomes rubble the law does not give them ownership. Will that imply that the land owner owns the rubble or the developer? That is also undefined by the law. 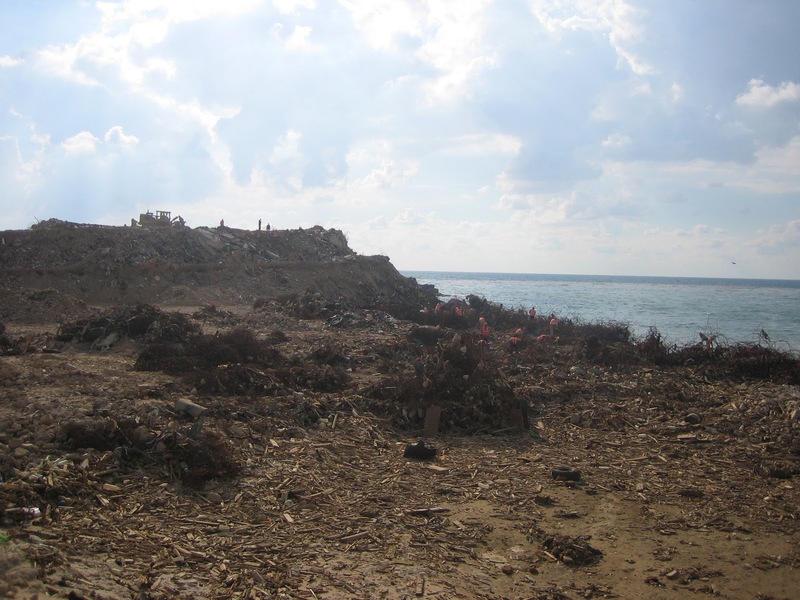 Today two mounds occupy a large part of Ouzai’s sea shore. Wild greens already started growing on them. The two mounds if intensely landscaped will provide two large public spaces that invite passerby to enjoy the landscape and the views as well as serve as a meeting place for people. The proposal is simple and demands a small fund to further green the two mounds facing the sea as well as providing a memorial for the victims of the 2006 war. Many other cases with similar proposals exist. Rubble mounds resulting from war destruction abound and once you start looking for them it suddenly seems that every country within the last 100 years had to deal with rubble mounds whether from man-made disasters or environmental ones. Germany even has a word for such rubble mountains or mounds-Schuttberg. The most prevalent transformation of the rubble mounds is to a landscaped 'natural' environment. These exist in Vienna, Berlin, Munich among other locations. The Ouzai memorial will be subtle and include objects found in the rubble inserted between the green surfaces. This suggestion is due to the fascination I felt walking on the mounds of rubble versus the evocation of human tragedy I felt when finding in between what has become sand, rocks and wild greens a colored tile that once belonged to a bathroom. Human tragedy is something the Lebanese shared and can and should share in their public spaces. This will undoubtedly provide a common ground for possibilities of communication. An accessible memorial for the destruction and loss of hundreds of civilian death left by the July war does not exist. In addition public green space in the greater Beirut area is rare. The mound proposal will have both a positive environmental impact as well as a socio-political one. Is it not fantastic to reclaim the mound on the shore of the Mediterranean? Is it not a celebration of life atop a mountain representing death and destruction? Great post! I love how you recognize potential in ways other people cant. 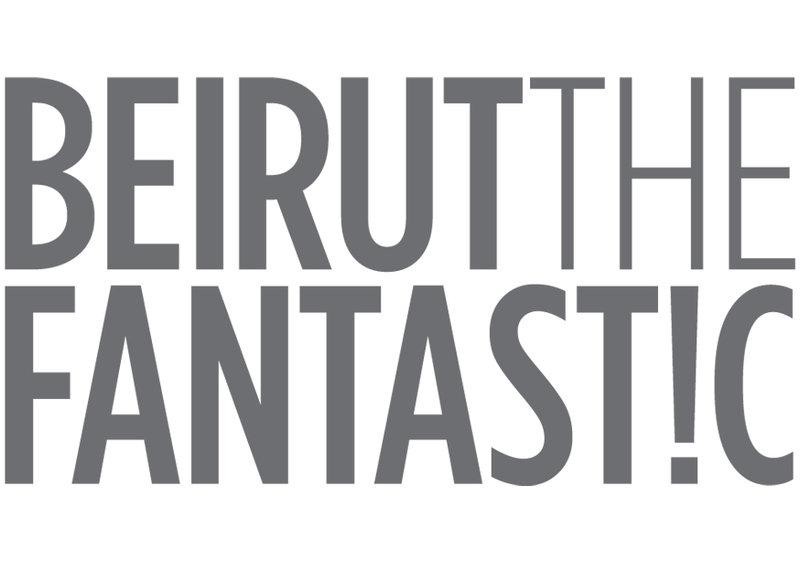 Your blog is amazing, Beirut is in need of people like you! and your choice of location is not bounded to the usual city hot spots which is also admirable.